Toby almost became a black dog over the weekend. 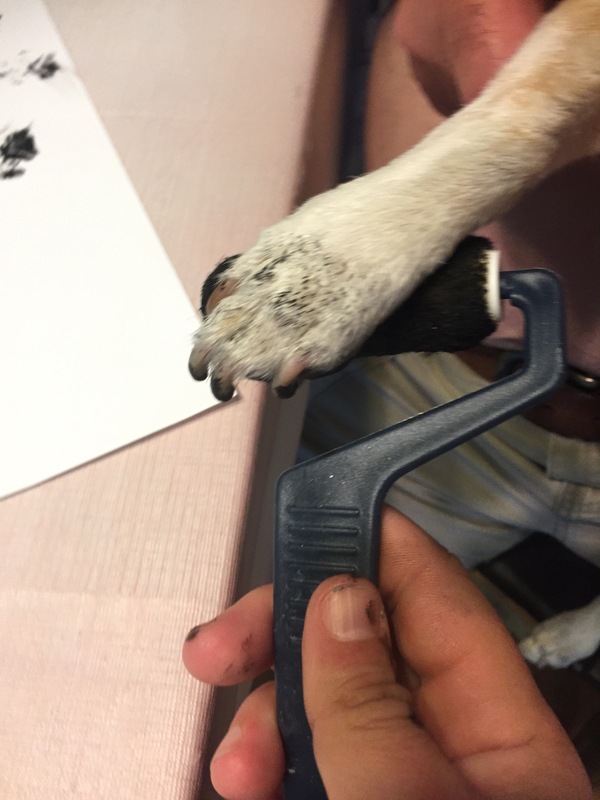 I was trying to get a good print of his paw, and decided instead of using an ink pad, I should use paint. It was on his face, ear, leg, back … pretty much everywhere but his paw. 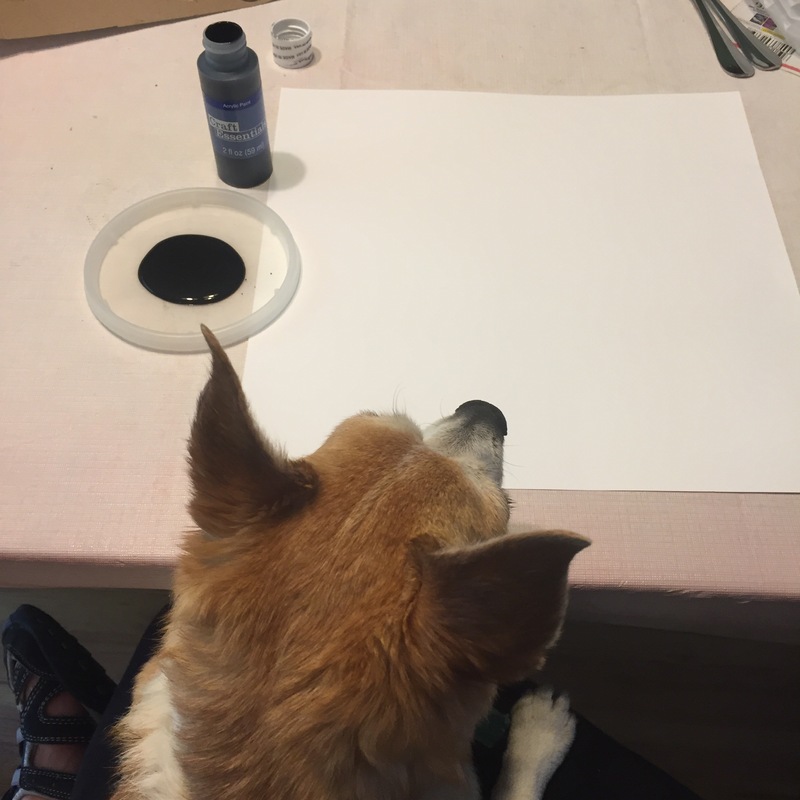 I had this genius idea that I would just casually do it while he was sitting on my lap at the table. Yeah, nope. That was a disaster. I for the paint all over him and me. 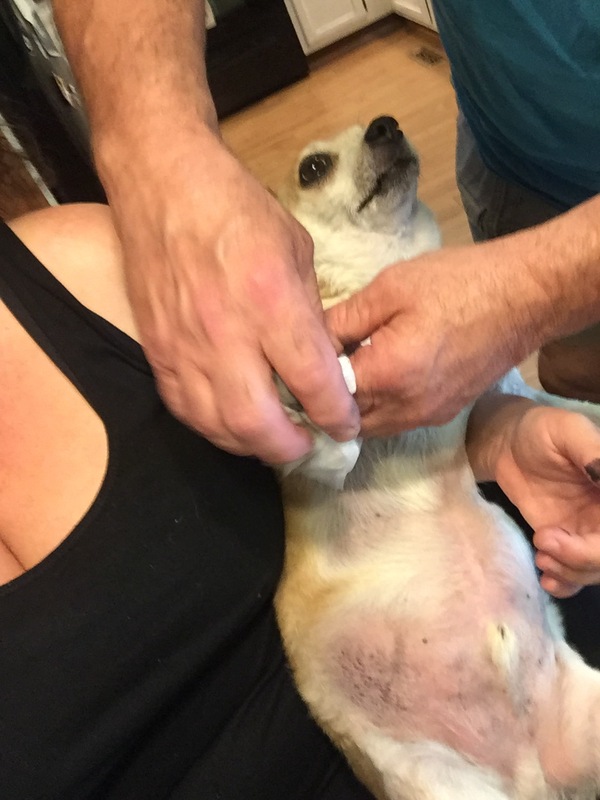 I held him on his back while my dad helped clean his paws and belly. Then he held him at the sink while I cleaned the rest of the paint off him, and then me. Then second try was much more successful. My dad suggested using the mini paint roller we used for close corners when painting the house. He held him while a ran the roller across his right paw and then put it on the paper. It actually worked really well and I got several awesome prints of his paw. 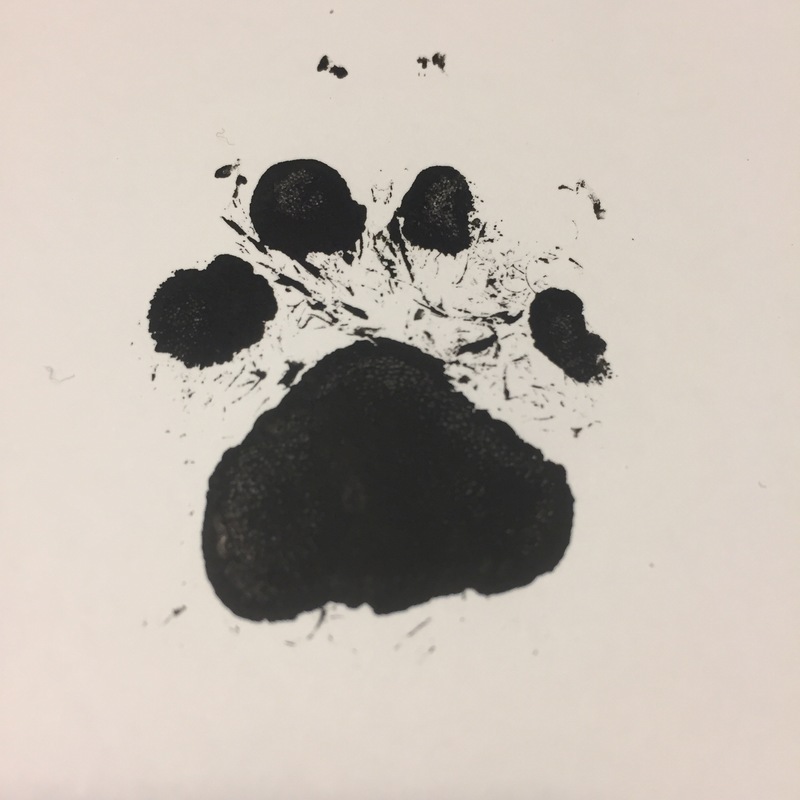 The last time we did paw prints, was the day he was diagnosed with cancer. I was sure the oncologist was going to tell me I was going to have to say good bye to Toby that day, so in between the early morning call from our vet telling me Toby had high-grade stage 3 lymphoma and the afternoon appointment with the veterinarian who would become our oncologist, I ran to the store got all kinds of craft stuff and then tried to get a print or Toby’s. This was a much more calm and happy paw print session. And, a funny hour of paint messiness. Toby was thankfully a good sport about it.